View of east side of Walker Art Building taken from the quad, with surrounding trees in full leaf. "Sepia Albertype Card." See catalog #2947 for cropped version of this Walker Art Building view. 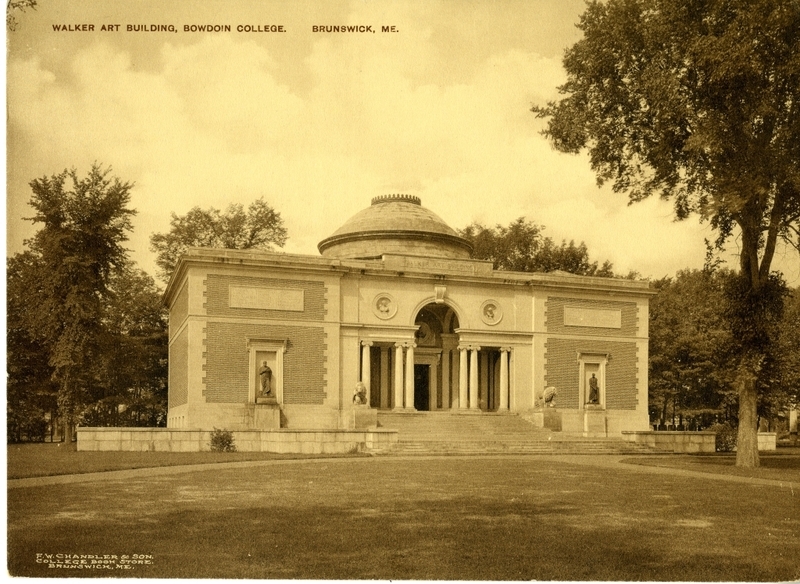 Click here for related historical and descriptive narrative from Patricia McGraw Anderson's The Architecture of Bowdoin College (Brunswick, Maine: Bowdoin College Museum of Art, 1988).